Google upgraded Chrome browser to version 0.4.154.25 and introduced Bookmark manager feature in the browser application. 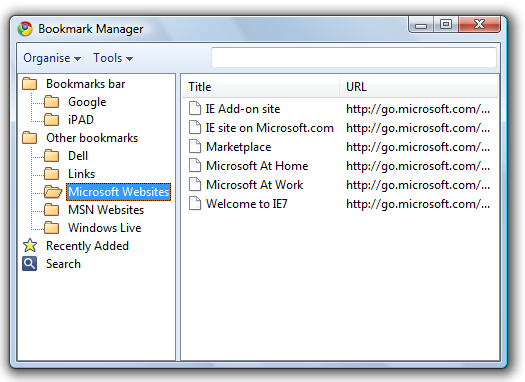 Bokmark Manager is very useful feature to manage the browser bookmarks. If you are an existing user, you can install the updated version with the help of “About Google Chrome” option of Google Chrome browser. New users can download the online installer from Google Chrome home page or offline/standalone installer from here.